The brand new Samsung Galaxy S6 is a powerful flagship device full of impressive specs and features. Samsung added a stunning camera on the back along with a heart rate sensor, improved the fingerprint scanner and more. Last week a new Galaxy S6 root method arrived, and here we'll explain how to root the Galaxy S6 and get even more out of the phone. Even though the Galaxy S6 is loaded full of features and options, many users still love to root their device for additional functionality or control. Just like jailbreaking an iPhone, last week the Samsung Galaxy S6 and Galaxy S6 Edge on Verizon and AT&T (and other carriers) finally received root access. Rooting Android is a process that allows smartphone and tablet owners to have additional control or Root Access of the Android operating system. Which is usually done so owners can get around carrier or manufacturer limitations (like hotspot blocks) removing third party apps and bloatware, installing custom themes or icon packs, or to alter settings to each users own desire. Read on for the quick how to instructions, and a video for those needing more help. How to fix Galaxy S6 Edge problems. The Galaxy S6 is one of the most popular Android devices today, and a new root method has arrived that won't mess with the KNOX security, and works for all versions on almost all carriers. Not just any root either. It's an extremely simple 1-click method that will have your Galaxy S6 fully rooted in just a few easy steps. 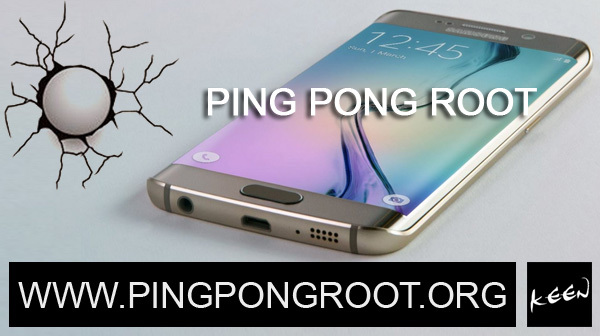 Last week a group called the Keen team released PingPong Root, which is a 1-click root app for a number of Galaxy S6 and Galaxy S6 Edge variants. This will even root the Verizon or AT&T Galaxy S6, two carriers that usually put additional things in place to make root access more difficult to achieve. M3 Mac Bitlocker Loader - M3 Bitlocker Loader for Mac is a simple tool to unlock, open, access, read, write, mount Bitlocker encrypted drive in macOS and Mac OS X. 101 Clips - Free Multi-Clipboard and Clip Organizer. If you ever wished that you could copy more than a single clip from one document before pasting to another, 101 Clips is for you. With 101 you can copy up to 25 times. WinTools.net Professional - A suite of tools for increasing MS Windows operating system performance. WinTools.net Pro contains tools: Clean Uninstaller, Scan Files, Scan Registry, Start Up, Tweak UI, Net Tweaker, The Privacy, File Shredder, Invisible Man. M8 Multi Clipboard - Typing something youve typed before? Searching for that graphic file, web address or phone number you know you have somewhere? Want to browse your digital photos and paste them straight into your email or word processor?.....You need M8. Rapid PDF Count - Rapid PDF Count will show you how many pages are in many PDF's and generate reports for you with a few mouse clicks. Flashpaste - Flashpaste is straightforward but powerful enhancement to the basic copy and paste feature built into Windows. You can define and categorize your own text templates for quick and easy access to text and code that you use frequently. Capsa Network Analyzer - Packet sniffer (network analyzer or network sniffer) for network monitoring and troubleshooting. It allows you to monitor network operations, isolate & solve network problems, identify network bottleneck & bandwidth use, and replay packets. Colasoft Capsa Professional - Packet sniffer (network analyzer or network sniffer) for network monitoring and troubleshooting. It allows you to monitor network operations, isolate & solve network problems, identify network bottleneck & bandwidth use, and replay packets.